Scientists agree with Pixar and Disney: Finding Nemo is fine—but once you do, leave him in the sea. Specialists from broad marine life backgrounds argue in a new report that small fish are more than twice as valuable when they’re food in the ocean then when put on our plates. Forage fish, now 37 percent of the industry’s commercial catches, bring in an estimated $5.6 billion in annual revenue. But the report says they support $11.3 billion worth of commercial fish by serving as prey. 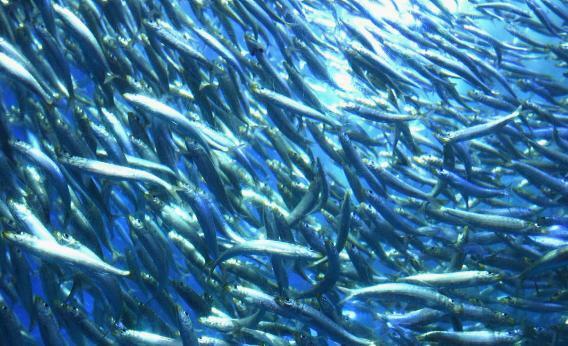 Experts want fishery managers to leave 40 percent of adult forage fish in the sea, up from the traditional 20 percent. Otherwise, they say we may soon reach a tipping point, where our demand may severely disrupt the ocean ecosystem. Reducing catches means reducing profits, but authors of the report say the measures would ensure a more robust fishing environment. Keeping future fishing sustainable by curbing our current appetite? The real world could do with that sort of happy movie ending.